Second edition now also available in Paperback. This updated and revised edition of the popular classic first edition relates fundamental concepts in probability and statistics to the computer sciences and engineering. The author uses Markov chains and other statistical tools to illustrate processes in reliability of computer systems and networks, fault tolerance, and performance. This edition features an entirely new section on stochastic Petri nets—as well as new sections on system availability modeling, wireless system modeling, numerical solution techniques for Markov chains, and software reliability modeling, among other subjects. Extensive revisions take new developments in solution techniques and applications into account and bring this work totally up to date. It includes more than 200 worked examples and self-study exercises for each section. 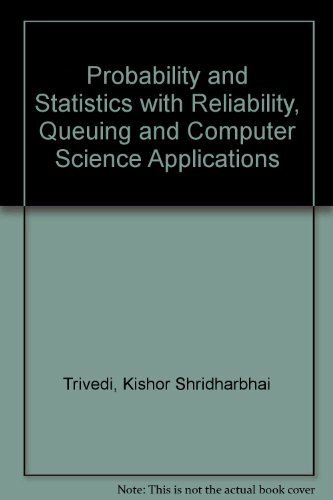 Probability and Statistics with Reliability, Queuing and Computer Science Applications, Second Edition offers a comprehensive introduction to probability, stochastic processes, and statistics for students of computer science, electrical and computer engineering, and applied mathematics. Its wealth of practical examples and up-to-date information makes it an excellent resource for practitioners as well. This updated and revised edition of the popular classic relates fundamental concepts in probability and statistics to the computer sciences and engineering. The author uses Markov chains and other statistical tools to illustrate processes in reliability of computer systems and networks, fault tolerance, and performance. This edition features an entirely new section on stochastic Petri nets?as well as new sections on system availability modeling, wireless system modeling, numerical solution techniques for Markov chains, and software reliability modeling, among other subjects. Extensive revisions take new developments in solution techniques and applications into account and bring this work totally up to date. It includes more than 200 worked examples and self-study exercises for each section. Kishor S. Trivedi, PhD, is the Hudson Professor of Electrical and Computer Engineering at Duke University, Durham, North Carolina. His research interests are in reliability and performance assessment of computer and communication systems. Dr. Trivedi has published extensively in these fields, with more than 600 articles and three books to his name. Dr. Trivedi is a Fellow of the IEEE and a Golden Core Member of the IEEE Computer Society. 7. 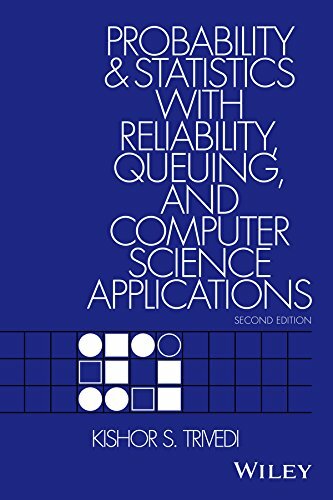 Probability And Statistics With Reliability, Queuing And Computer Science Applications, 2Nd Ed.